Usually when I shake my head at Sid Hartman it’s on Sunday nights during The Sports Show, but we all received a special Sid bit on Thursday. Hartman reported in his Thursday column for the Star Tribune that the University of Minnesota would be building a $70 million practice facility for the Golden Gopher football team. Which would be a pretty big story, except it’s not true. Minnesota hockey godfather Lou Nanne said during his weekly interview on 1500ESPN that it wasn’t true and Chris Werle, senior associate athletic director at the U, confirmed Nanne’s statement. I wonder who’s angrier: Sid or the poor guy that has to ghostwrite all of Sid’s columns. Does Sid get the information for his columns and has someone write them? Did Sid totally dream this up? There are a lot of questions. Getting a report on a building wrong is not the end of the world and reading the comments congratulating Sid on the great scoop and then seeing those people realizing that it had been reported as false later in the day is pretty fun, but it’s sad to see. It’s another punchline to the punching bag that has become Sid Hartman. 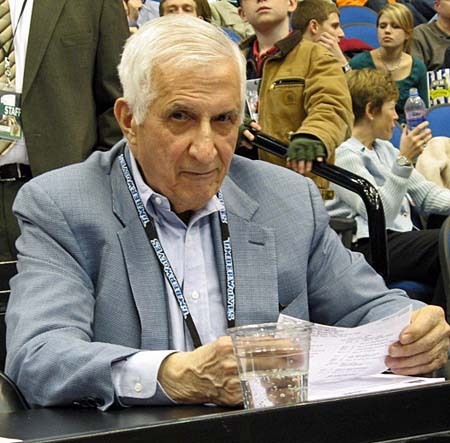 Sid Hartman had to be pretty good at this journalism thing at one time, he has a statue outside Target Center for crying out loud, but he hasn’t been for a while now. As a 20-year-old Minnesota sports fan, Sid has always been in my life. Since I’ve been conscious of who Sid Hartman is, so about 10 years, he’s been a laughingstock. I don’t know if Sid actually wrote the column or even if it is his own information, but it’s just sad to see this happen to the 94-year-old man. It appears Sid is probably on the retirement tour with the estate sale and Sid Hartman Day at Target Field and I wish he’d go out on top, at least the best way he could. The man was the General Manager of the Minneapolis Lakers when he was 27 in 1947, think about how cool that is. I really wish I wasn’t shaking my head.